I'm going to start a new special weekly post. I introduce to you Throwback Thursday. In these posts I will show off my own past projects that haven't been blogged about and also handmade goodies made by my family that have been passed down to me. Being a crafter, you can instantly connect to and appreciate these pieces because you understand the work and time put in to creating them. They serve as inspirations and reminders that what we do when we craft is special. We are creating memories by hand. The generations after you could have a piece of you that they can hold in their hands. It's our legacy. 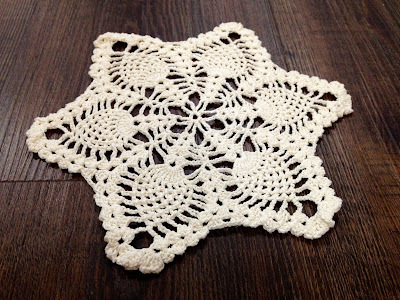 So here is a cluster of beautiful doilies featuring the famous pineapple motif. 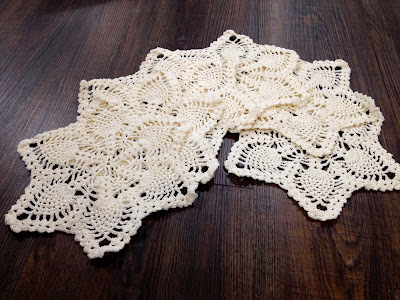 They were crocheted by my maternal grandmother, my Nanny. Unfortunately I didn't really get to know her too well. She had a stroke around the time I was born and lost her speech and then passed away when I was about 6. My mother tells me she was a wonderful knitter and crocheter. 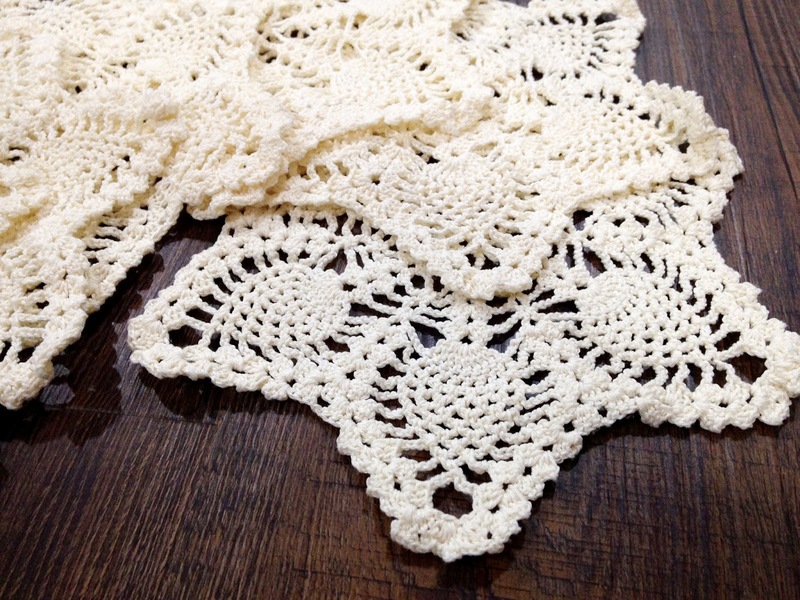 She has piles of doilies that her mother made and now some of those were passed down to me. These are about 7 1/2 inches in diameter and crocheted in an off white shade. I'm sure there are numerous patterns on Ravelry that are similar; its such a classic doily.